Combine 50ml (1½floz) Heinz Classic Barbeque Sauce, parsley and garlic. Add the steaks and turn to coat in the mixture; marinate for 30 mins. 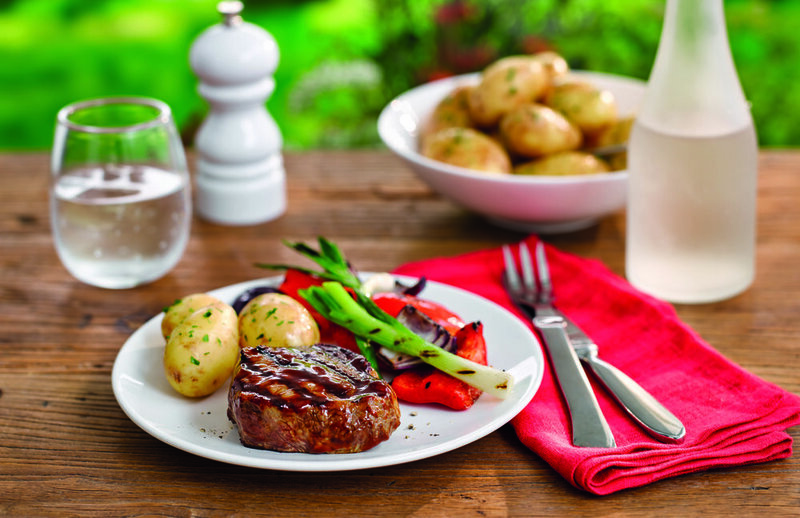 Lightly season steaks evenly with pepper; ensure the grill is oiled to avoid the steaks sticking. Place the steaks on the barbecue over a high heat and cook for 5 mins. Flip them, and brush all over with some more Heinz Classic Barbeque Sauce and cook for 3-4 mins more or to taste. Turn and brush with any remaining sauce. Rest for 3-5 mins before serving loosely covered with foil. This recipe is courtesy of Heinz.